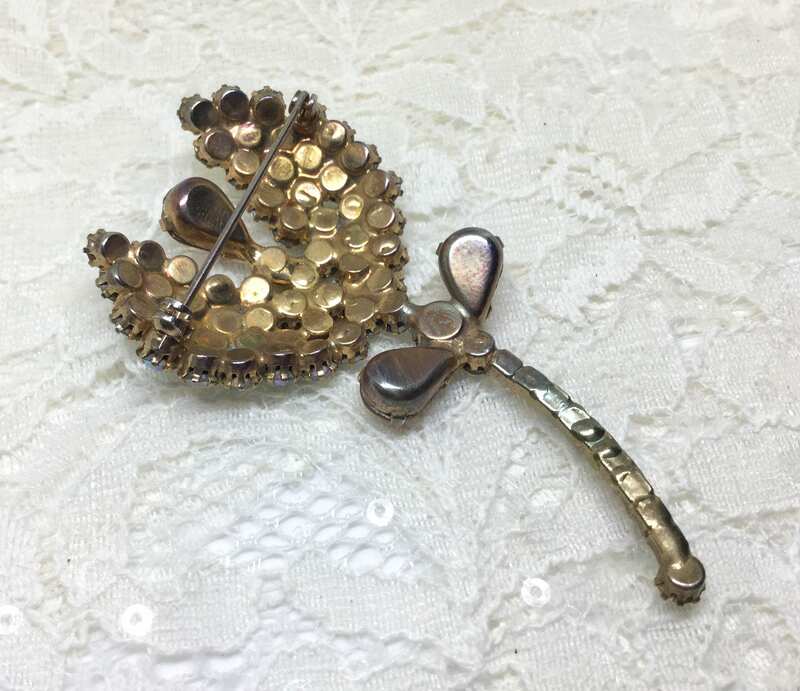 This is a unique and striking 1950s vintage goldtone rhinestone flower brooch. 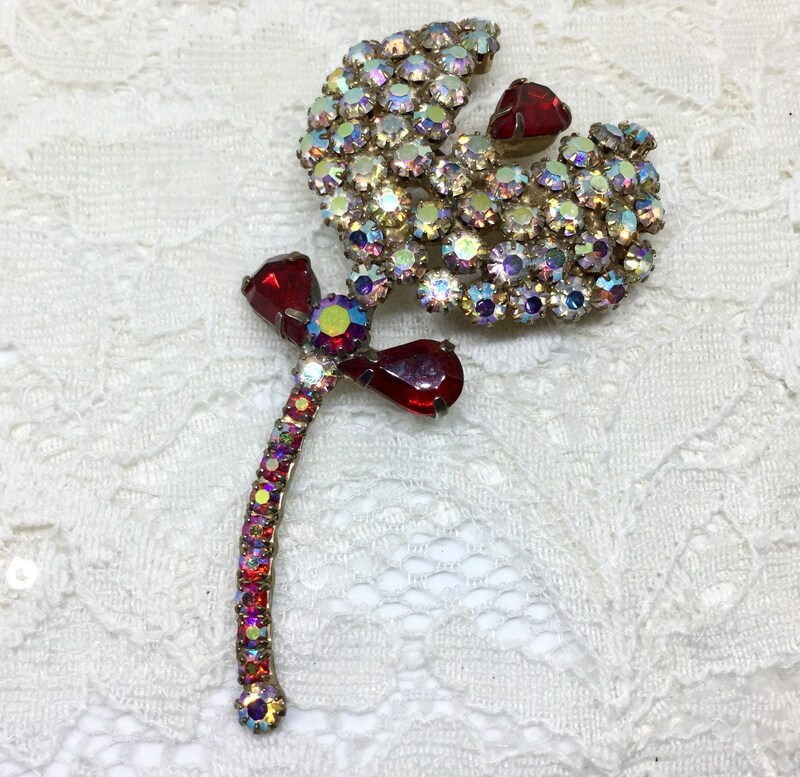 The flower is rainbow Aurora Borealis round rhinestones, the leaves and flower center are cherry red teardrop rhinestones, and the stem is red Aurora Borealis round rhinestones. 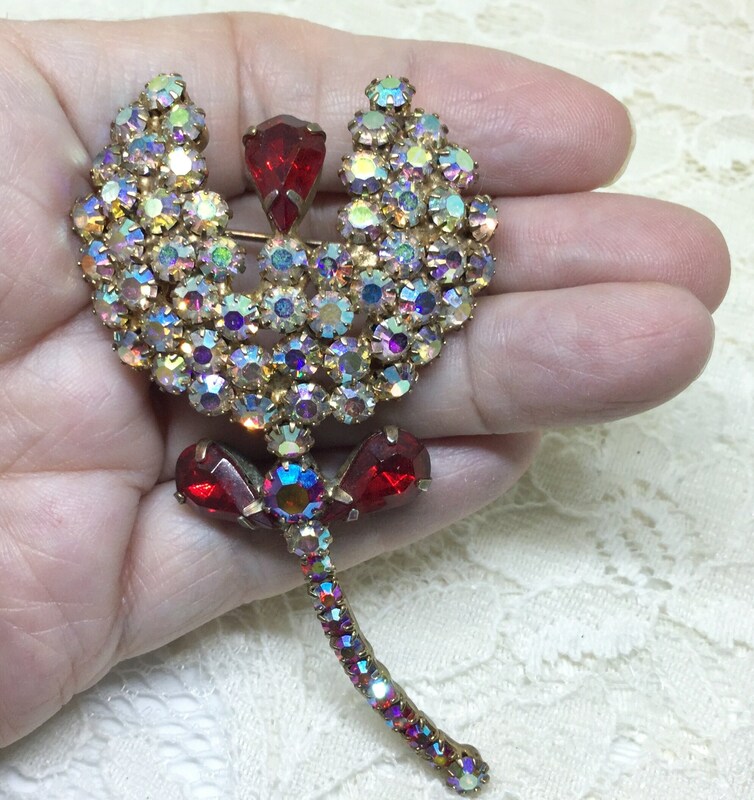 All of the super sparkly rhinestones look original and are faceted and prong set. 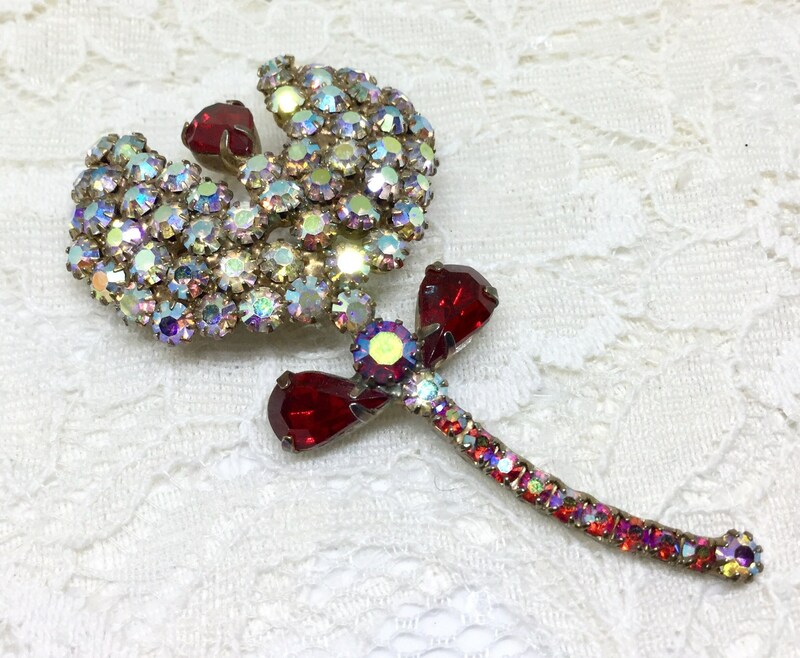 It measures 3” x 1 5/8” and the pin back is straight and works smoothly and securely. The back shows vintage wear that does not affect the front. 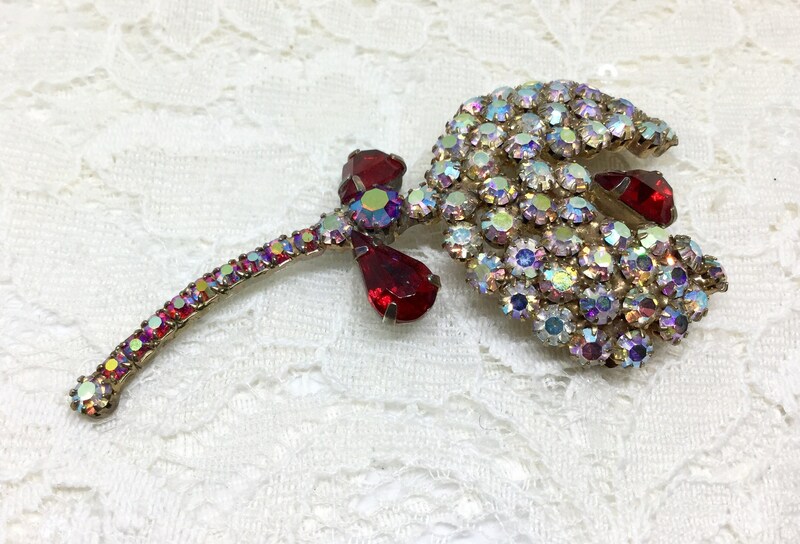 This awesome hi end vintage flower brooch will receive many comments when you wear it for work, play, or party!